It’s been almost seven years since Olympus entered the Micro 4/3 market with the Olympus Pen E-P1. The Pen name harkened back to Olympus’ half frame line of film cameras that began in 1959. 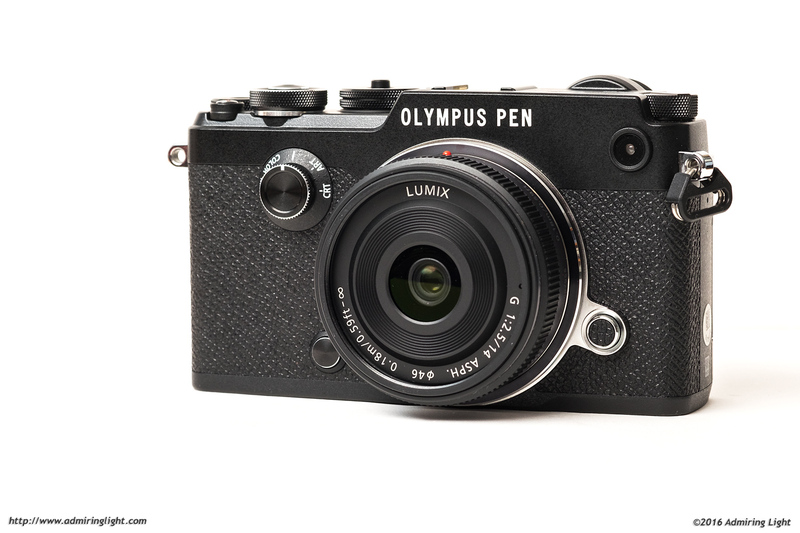 After several iterations of the Pen lineup, Olympus has borrowed the full name of one of those film bodies for its latest compact Micro 4/3 camera: the Pen-F. The original Pen-F was released in 1963, and had an iconic style. Today’s new Pen-F borrows a bit from that style and the result is one of the genuinely most attractive cameras around today. The camera comes in both black and silver. I am reviewing the black version, but I have to say the silver version looks amazing to my eye. The Pen-F has a distinct old-school design with large chunky dials and a flat front with a leatherette wrapping, but packs all the latest technologies from Olympus. It also has the first integrated viewfinder on a Pen series camera, which has been a requested feature for years. 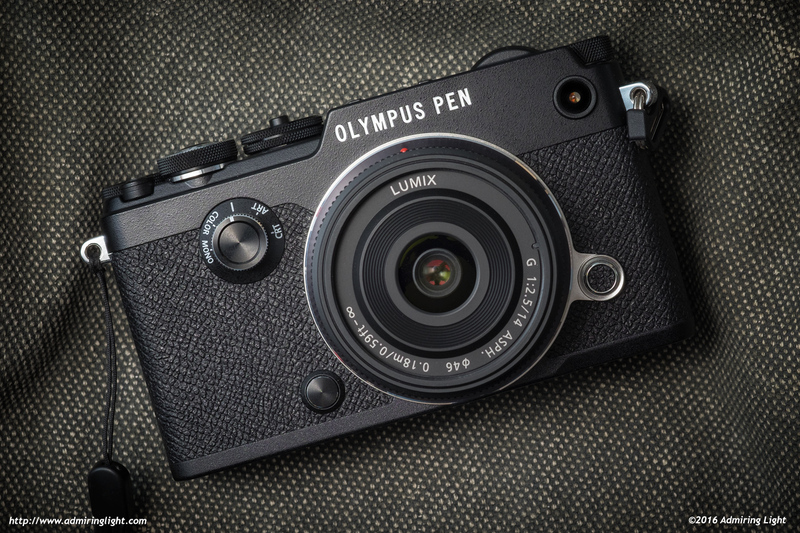 Let’s find out how Olympus did with this latest Pen. The Pen-F is designed to have as much retro charm as humanly possible, and at times, this service to aesthetics is a disservice to ergonomics, and nowhere is that more the case than the front grip, which is…absent. The camera has a completely flat front, like many old rangefinder cameras, and it can make for a moderately uncomfortable squeeze required to keep the camera in check. Thankfully, it didn’t handle as poorly as I expected, especially with smaller lenses, due to two key things: a very nice texture on the leatherette that covers the camera, and a very deep recess for the thumb, which provides some much needed purchase on the rear of the camera. Despite the lack of weather sealing, the camera is very tightly assembled and feels very well constructed. Seams are tight and there is zero flex to the body. It’s also a fairly dense camera, which simultaneously makes it feel like a premium item while also making it a bit harder to hold on to. When reviewing the past few Olympus cameras, I’ve had high praise for the large, chunky dials and the outstanding action of these dials. While the Pen-F continues the chunky dial trend, unfortunately the action on these dials isn’t what I expect from Olympus. The front dial is nice and big, but the movement of the dial is partially shielded by the inexplicably raised movie record button, which your finger bumps after one or two clicks on the dial. The dial also doesn’t move quite as fluidly as the dials on the E-M5 II and E-M10 II, but rather in a bit of a jerky manner. The rear dial is small but fat, and actually moves fairly well for such a small dial. The exposure compensation dial (which is a first on an Olympus Micro 4/3 body), unfortunately feels terrible. It has very short travel that is extremely stiff, and the clicks are very loud. On the positive side, the dials are all well positioned, save for the slight shielding of the front dial by the record button, and your fingers fall naturally to them. The rear buttons are positioned identically to those on other recent Olympus bodies, but there’s a new dedicated magnify button that comes in handy when you’re shooting in manual focus mode or with an adapted lens. These buttons are well placed and hard to press accidentally. There’s a new front programmable button as well, near the base of the lens mount, that is in perfect position to press with your ring finger. 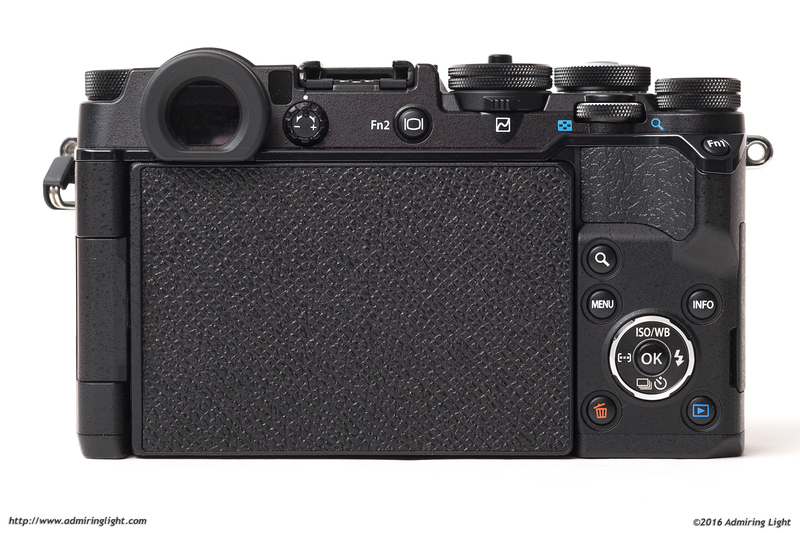 One odd design change from the OM-D cameras is that they’ve gone back to the solid silver ring for the four-way controller instead of the nice big individual direction buttons that are featured on the E-M10 II and E-M5 II. These ring buttons are easier to press than those on the E-P5, but it’s not as good as those on the Mark II OM-D’s. It’s an unusual change because the rear of the camera isn’t any smaller in the control area than those two OM-D cameras. Another odd design decision is the new creative mode dial that sits on the front of the camera. This dial is very difficult to turn, which I’m sure is intentional, and is used to change JPEG profiles. While I’ll discuss the utility of the dial in the next section, here I’ll say that it was a bit of an odd location. It did rub against my finger with heavier lenses, but was benign when using small, light lenses. Despite the issues I list above, I grew accustomed to most of them over the review period. While I don’t think it handles as well or feels as good in operation as my E-M10 II, it’s still a very usable camera with well placed controls. The Pen-F has a similar control scheme to most other Olympus Micro 4/3 bodies, with a few notable exception. The interface is still predominantly controlled with the two top mounted front and rear control dials. These change exposure parameters, navigate through images upon review and so on. 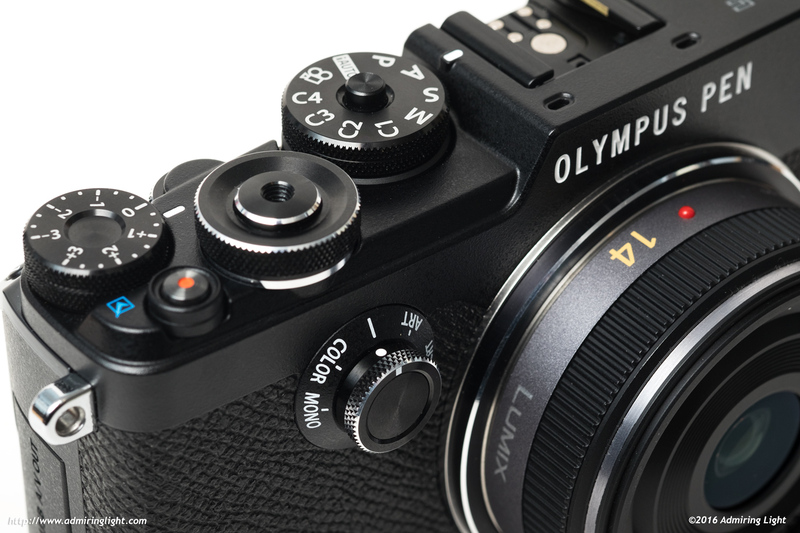 The big change with the Pen-F is the addition of a dedicated exposure compensation dial. A lot of manufacturers have started adding them, after it became popular with Fuji, Sony and more recently Panasonic. At first, I didn’t really feel like it was that different using the Pen-F due to this dial, as I typically used the rear control dial for exposure compensation in the aperture and shutter priority modes. With the new EC dial, Olympus defaults to using both control dials to control aperture in aperture priority. After a few days, though, it dawned on me that I could assign ISO to one of the dials, and suddenly: in aperture priority, I can control aperture with the front dial, ISO with the rear dial and EC with the EC dial. Like the E-M10 II, the Pen-F lacks the two-way switch featured on the E-M5 II and E-M1, but the dedicated EC dial makes up for this. For what its worth, you can still assign that two way function to one of the programmable function buttons. 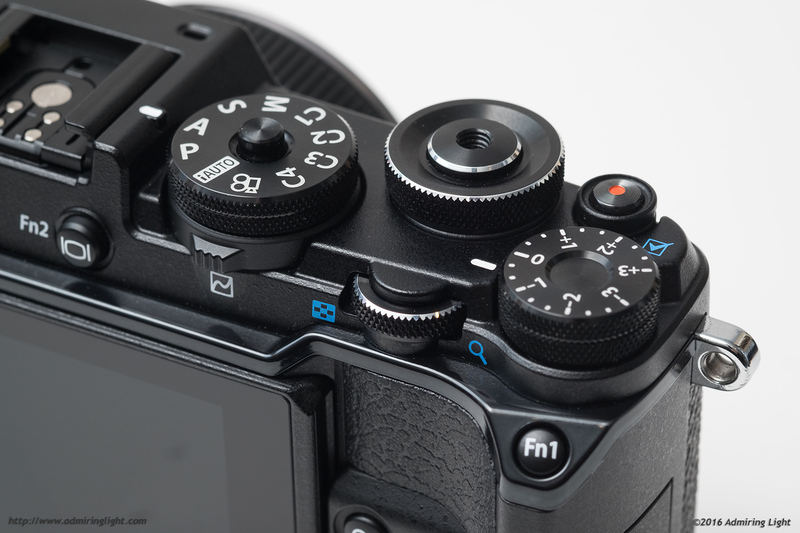 Speaking of programmable buttons, the Pen-F has three dedicated Fn buttons for programming, plus several others that can be repurposed from their labeled function. The ability to customize these makes it easy to set up the camera to your liking for easy access to often used controls. There are two new additions to the camera that have caused some controversy: the front ‘Creative Dial’ and the rear curves lever. These are two dedicated controls, that can’t be repurposed, that are dedicated solely to JPEG output modification. The creative dial sits on the front of the camera and is perhaps the most prominent control on the camera. You can choose from five positions on this dial: the ‘standard’ mode (which Olympus calls ‘Image Enhancement’), Color, Art filters, Black and White (Mono) and CRT. The Image Enhancement mode is the same default JPEG mode that Olympus has had on all their cameras. You can select certain JPEG profiles, such as Vivid, Neutral, etc. The Color mode allows you to adjust the response of individual colors, using the front and rear dials, as well as that dedicated lever. Say you want intense blues and reds, but muted greens: this is your mode. The Monochrome mode acts how you’d expect, by creating black and white profiles. This allows for quick setting of the black and white color filter, the contrast settings, curves and shading. The Art filters mode allows quick access to the art filters that have been featured on Olympus cameras for years, while the CRT mode (Color Creator) mode, is a more global color adjustment mode (hue/saturation/curves). The lever, in any mode, is the means to access the curves adjustment and shading controls. 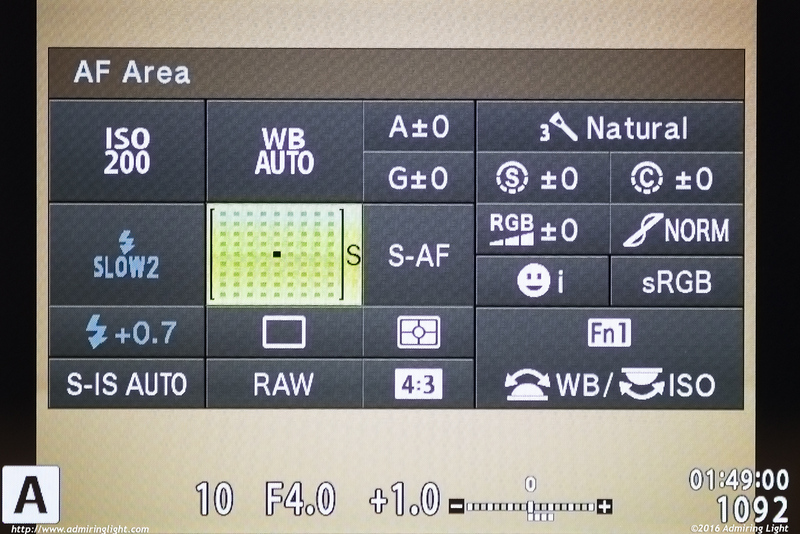 When I got the camera, I was disappointed that such a prominent controls were dedicated to JPEG output only. This is a serious camera, and while Olympus JPEGs have always been great, it seemed odd to spend a reasonable amount of camera space to JPEG output only. I still feel that these controls will probably get less use than some other things that could have been put there. However, to my surprise, I used these controls a LOT during the testing period. It was great to switch quickly to a black and white output, or tweak certain settings. I did use it mostly for black and white output, but if you’re a JPEG shooter, it’ll come in very handy, as it’s very fast and easy to adjust output in rather dramatic ways. Moving on from the JPEG controls, the Pen-F features the same super control panel (SCP) and menu system as previous Olympus bodies. The SCP, as always, is fantastic: allowing very quick access to the vast majority of the shooting options on the camera. The menu system has the same plusses and minuses as previous cameras as well: it’s a lot of power with tremendous customization options, but at the cost of deep complexity. If you’re an existing Olympus shooter, you’ll feel right at home. If you’re new to the system, be prepared for a learning curve while you get used to the menu system. The Pen-F also has a bevvy of touchscreen controls, including the ability to change focus point by touch, navigate playback of images, and more. The touch screen is responsive and accurate. The Pen-F also inherits the AF Targeting Pad feature from the E-M10 II, which allows you to reposition focus points when using the viewfinder simply by sliding your thumb across the touch screen like a trackpad. This is one of my favorite features on the E-M10 II, so I’m glad to see it in the Pen-F.
A very informative and honest review. Do you recall if the EV dial is active, when in Manual mode and auto ISO? On the GX8, with such settings, it gets turned off. Such a waste. Finally a comprehensive and thorough reviewer who advises us that “your money is more wisely spent elsewhere.” As a satisfied owner of the E-M10 II I couldn’t agree more. To me, a camera that doesn’t offer comfortable haptics and ergonomics is a “no sale” no matter how nice is the rest of the package. There will just be no joy in using it. As for the price, the less said the better. Thank you for an excellent analysis. Respect. A very good review, as always. But in your conclusion you miss one – or, rather, *the* – crucial point: The Pen-F gives some “rangefinder feeling”, which no other Olympus does. Whether this is worth the price is a question which everybody must answer for him/herself. No, I address it. The last paragraph. It really is the lack of a viewfinder hump. That’s it. It’s no smaller than the OM-D series cameras with the exception of the hump. I don’t feel the camera gives any more of a rangefinder feeling than any other Mirrorless camera. The only Mirrorless camera that comes close is the Fuji X Pro series, with the optical finder and frame lines. This just lacks a hump. It’s rangefinder styled, but it doesn’t have a rangefinder feel. With “rangefinder feeling” I didn’t mean the lack of the bulb, but rather that the camera doesn’t hide your face while photographing. It may be a minor point, but for me it allows for a completely different communication when photographing people. I agree that it’s not the same as a true rangefinder, of course. Correction: I meant to write “hump”, not “bulb”, of course. Hahah, my Koni Omega Rapid 200 is a real rangefinder (with a cinema-scale viewfinder to go with it), and definitely hides my face. It also weighs 2 kg, though. For me the rangefinder aspect is the super-precise feel of manual focussing with the rangefinder patch. With a well-calibrated lens, I feel like it’s possible to manually focus more quickly and accurately than any other system (better than any SLR OVF, better than focus peaking, and similar to magnified view but with the whole perspective). As Jordan says, I feel like the X-Pro 2 only gives part of that feeling, since the OVF is not usable for manual focussing in a conventional sense. So you’re upset I didn’t go buy a $550 lens, so that when I took pictures of a camera, it looked better? Feel free to donate that money to the site, and I’ll gladly purchase one for product shots in future reviews. I’ve always enjoyed reading the reviews here, always on point with great detail. The sample images are really good too! The “walking after the rain” is really good! Would’ve liked to see it in B&W. Still, very good composition. Excellent article. I, however, disagree with your final statement that my money would be better spent elsewhere. I traded in my OMD EM5MII for the PEN-F and I have not regretted my decision. The EM5MII was (and is) an excellent camera, and certainly produces fantastic images, but I needed just that little bit “extra” with the 20mp vs the 16mp. Yes, I’d love to have the weather-sealing, but it’s not a show stopper for me if the camera doesn’t have it. Sure I would’ve preferred paying $200 less…but after spending the money, I find the results I’m getting more than justifies the cost (but of course, “your mileage may vary”). Is it perfect? No, there is no such camera. But when I’m out and about, it’s the first camera I grab and it’s with me on a daily basis. My biggest complaint is more with M43 cameras’ in general: their low-light capability lacks when compared to a capable DSLR (such as the Nikon D750, which I also shoot). So for now…as long as the light is good (dawn to dusk, really) I am assured of capturing great images at a very good frame rate. For the record, I find the best feature to be the silent shutter. One more thing: in my experience, the PEN-F raws are a bit more malleable than the comparable EM5MII raws. It may very well be due to the slightly greater detail resolution (20mp vs 16mp), but the new(er) sensor may also have a lot to do with it. What I’m finding is that I can shoot at or below optimal exposure and still pull out the shadows without an alarming increase in noise. I couldn’t do this with the EM5MII raws (since I shoot a great deal with the D750, the Nikon raws are almost “rubbery” in the amount of post-process manipulation that can be applied without any degradation…and that is the standard I use to compare the PEN-F raws). Excellent review, nonetheless. Thank you. Thanks for a very thorough review. I agree, a little overpriced at $1,199 for the body only. Hi Jordan, just across this review as I am toying with the idea of getting the pen-f. 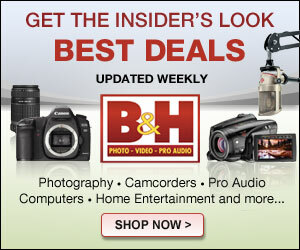 Does the compact panasonic zoom work well with olympus cameras? Did you have to apply the lens profile in lightroom?